In the early-to-mid aughts I saw a lot of stand-up comedy at the Punchline, a club in downtown San Francisco. At one show, comedian Michael Meehan made a crack about a small town on the other side of the bay. The joke bombed. In response to the audience's silence, Meehan grinned and said, "C'mon folks, you have to get outside the 415 [San Francisco's] area code sometimes." That got a laugh because it was true. In the 17 years I lived in San Francisco, I explored every neighborhood of the city but barely ever made it across the bay to Oakland, a cultural Mecca in its own right, other than to attend concerts or art exhibits. The vast majority of my exposure to Oakland came in the last three months I lived in the Bay Area, just before I was priced out. From January to April of 2016, I walked from a subway station in downtown Oakland to an internship at an inner-city day treatment program. Along the way, I took in a new visual landscape that included the bad (fences, security systems, snarling dogs) and the beautiful (murals aplenty). A stone's throw from the street-level opening of the subway station is the Paramount Theatre, which was added to the National Register of Historic Places in 1973. Built in 1931, this art deco structure has a visual splendor—both internally and externally—missing in modern movie theatres. Each weekday afternoon after I finished case notes I headed back downtown. 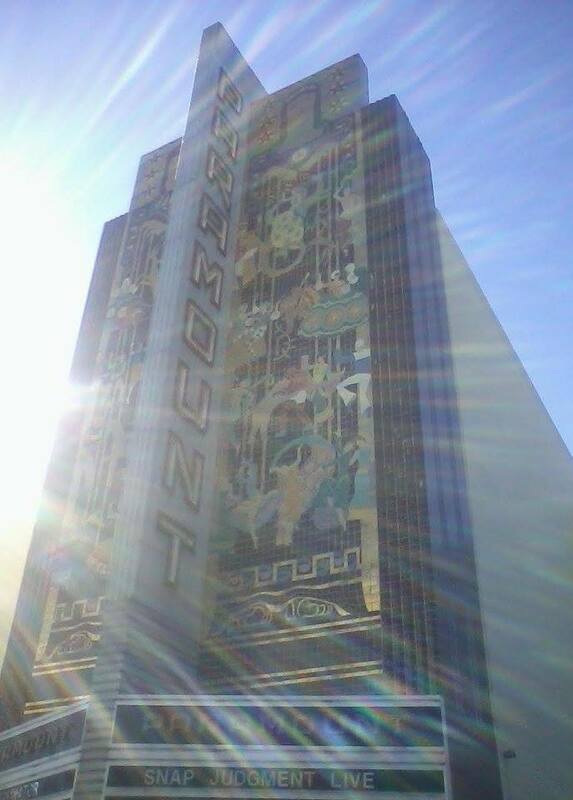 The Paramount was the last taste of Oakland I had before I disappeared down into the subway. The February afternoon pictured above, like most, was sunny and mild; I flipped on my sunglasses as I turned from an alleyway onto Broadway Street, approaching the theatre. This view of the sun-kissed Paramount mosaic was captured from the median. As snow falls outside my window in flyover land, this is one of the many images that reminds me of the mystical urban beauty of the Bay Area. The visual odyssey of "Loving Vincent"
The new animated feature “Loving Vincent” explores Vincent van Gogh as a human being while delivering a sumptuous 90-minute immersion in his visual aesthetic. Working with 125 painters over seven years, the filmmakers expertly blended 65,000 oil frames based on Van Gogh’s works, in his favorite colors—pastel green and highly-saturated hues of blue, purple, yellow, and gold. The story takes place in the French village of Auvers-sur-Oise a year after Van Gogh’s death, in 1891. Armand Roulin, son of the local postman, is asked to deliver a letter Van Gogh had written to his beloved brother Theo just prior to his death from a self-inflicted gunshot wound. Given the seemingly simple task of getting the letter to its intended recipient, Roulin becomes something of a detective when he discovers that Theo has died. Roulin is referred to Paul Gachet, the doctor who had housed Vincent van Gogh at the end of his life, but when he arrives at Gachet’s residence, the doctor is out. 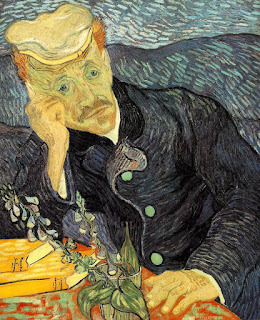 During the two days he waits to see Gachet, Roulin gets an ever-shifting view of Van Gogh based on whom he talks to. The religious housekeeper who answers the door at the doctor’s house has an uncharitable view of Van Gogh; the doctor’s daughter is so fond of Van Gogh that she leaves flowers at his grave each day. Roulin also hears alternative theories about Van Gogh’s death that had never occurred to him. In the official story, Van Gogh had walked into a field of sunflowers and shot himself, but Roulin is told that a local bully had shot Van Gogh—in one account out of malice, in another by accident—making him wonder if Van Gogh had truly been depressed enough to commit suicide. Each of the people Roulin encounters offers a window into Van Gogh’s personality, but it’s unclear the extent to which contradictory portraits stem from flawed memories or the messiness of a complex human being. 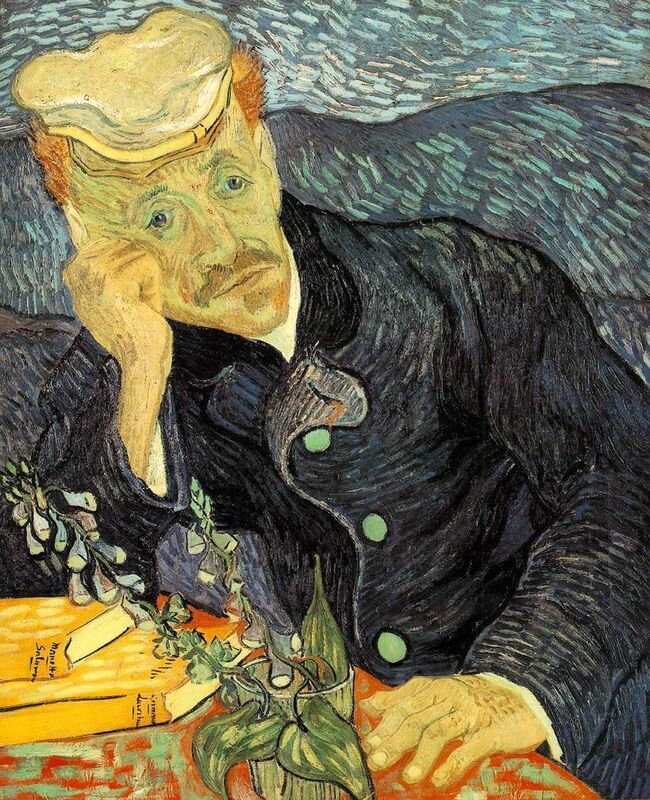 As the man who not only attended to Van Gogh’s mental health at the end of his life, but shared a love of painting (and thorny conflict) with the artist, Gachet’s importance in decoding Van Gogh grows throughout the movie. Roulin’s meeting with the doctor offers a prime example of the transcendent visual style of “Loving Vincent.” A reproduced Van Gogh painting of the doctor begins the shot, as a point of reference. As the scene continues, the background shifts slowly, fluid like water. Embedded in the wall behind the doctor are Van Gogh’s trademark short, wavy, textural brushstrokes. Appropriately, the movie ends not long after Gachet has provided his perspective on the life and death of Van Gogh. The viewer may come away with more questions than answers, but such is the human heart. “Loving Vincent” is a completely original homage to an extraordinary artist who never got the credit he deserved in his short lifetime, a labor of love that would make Van Gogh proud.